Gregg Young started his journey in the automotive business back in 1989 selling used cars at a Chevrolet dealership. By 1996, Gregg had risen through the ranks to become General Sales Manager of a Chevrolet dealership in Northwest Omaha. In 2000, Young purchased a Chevy dealership after relocating to West Omaha and Gregg Young Chevrolet was born. Since that time, Gregg and his team’s commitment to great customer service and low prices have taken that store from last in the city to one of the top volume Chevrolet stores in the state of Nebraska and eastern Iowa. With success has come growth and another Young in the dealership. 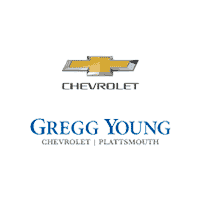 Gregg’s oldest son Alex, is now Managing Partner of Gregg Young Chevrolet Plattsmouth. In addition, the Gregg Young Automotive Group has now expanded with the opening of the all-new Chevrolet store in the Norwalk and Plattsmouth.